Craig Frohock, vice president at Federal-Mogul. Federal-Mogul Motorparts has appointed Bryon Osterland as vice president, Global Chassis, while Craig Frohock has been appointed vice president, Global Sealing, Engine and Underhood Service. Both Osterland and Frohock will report directly to Brad Norton, CEO. Osterland began his career with Federal-Mogul in 2002 and has since held positions including director, purchasing and supply chain, engine hard parts; director, purchasing, global aftermarket; director, business development, Global Chassis; and general manager, Global Steering and Suspension. 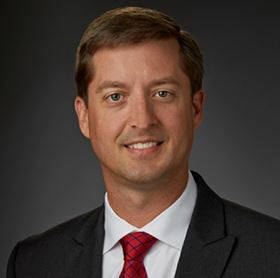 Frohock joins Federal-Mogul Motorparts after a long career with Meritor, where he joined in 1997 as an application engineer. Throughout this time, he held positions including director, braking systems; general manager, global trailer; vice president, aftermarket and trailer, North America; and vice president, aftermarket, North America, where he was responsible for Meritor's aftermarket business in the commercial vehicle truck, trailer, specialty and bus, defense, and independent markets. This story uses material from Federal-Mogul, with editorial changes made by Materials Today. The views expressed in this article do not necessarily represent those of Elsevier.